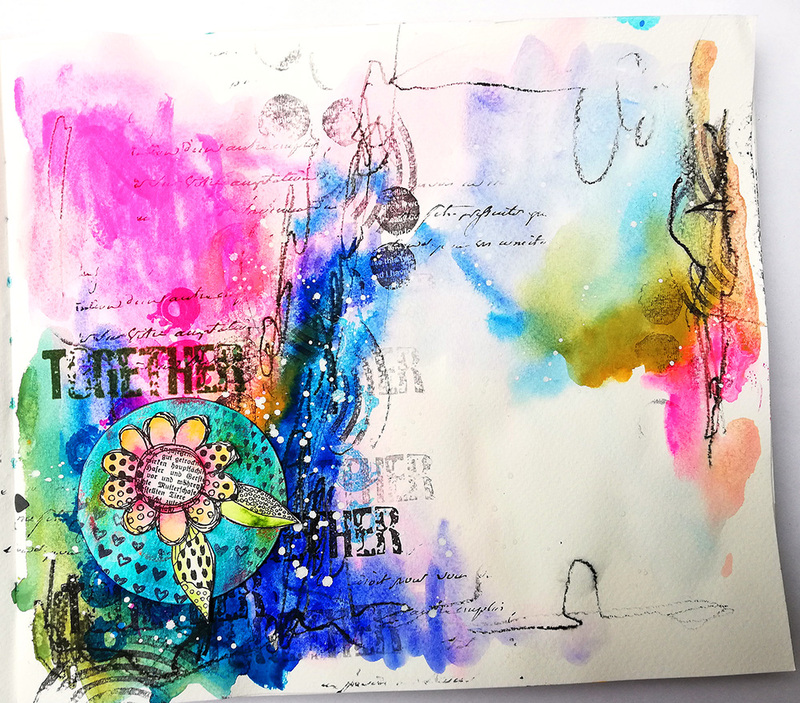 I am sorry that I didn't write anything during the last month. 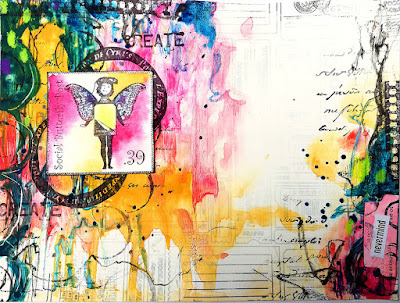 But there is absolutely no time for blogging at the moment. 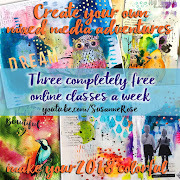 I am very active on my YouTube channel and also on Instagram. 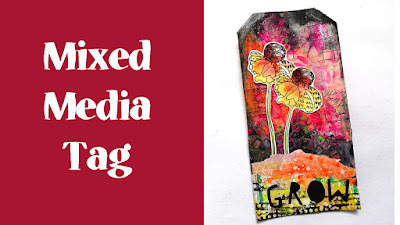 I also have a new IGTV channel where I post additional mixed media videos. I will share some of the work I did during last month now. 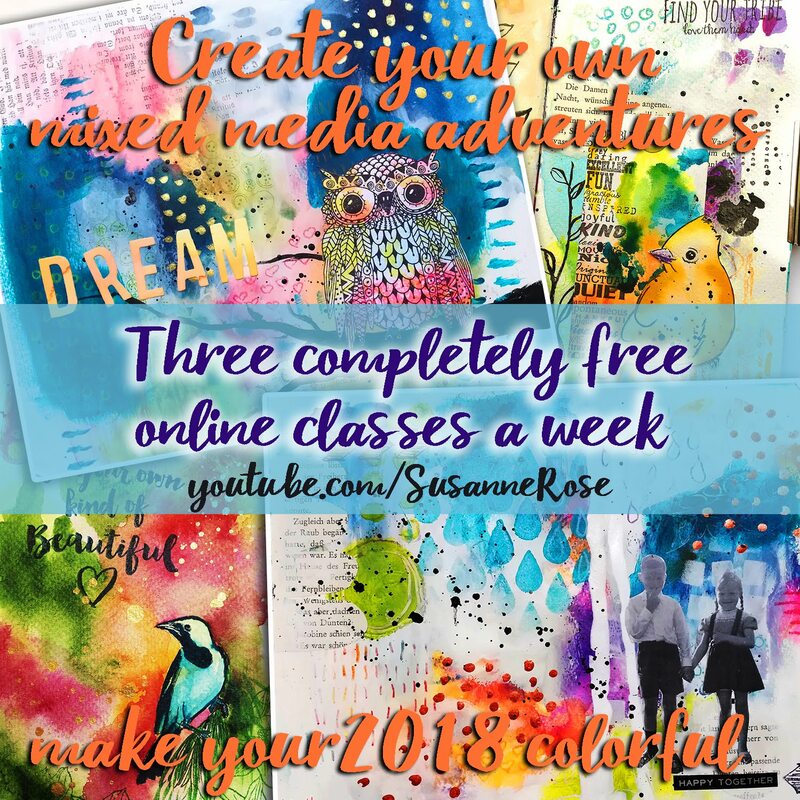 You will find a video for a lot of them over on my YouTube channel. 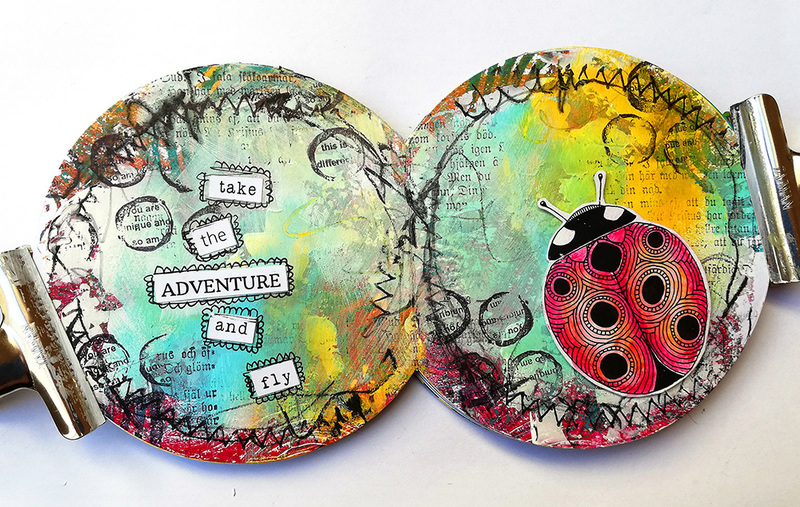 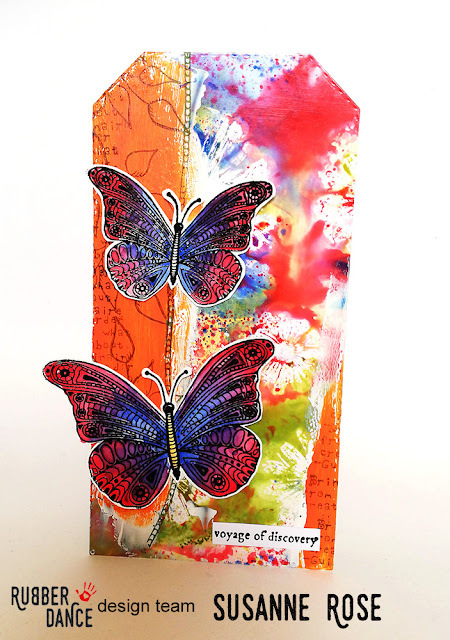 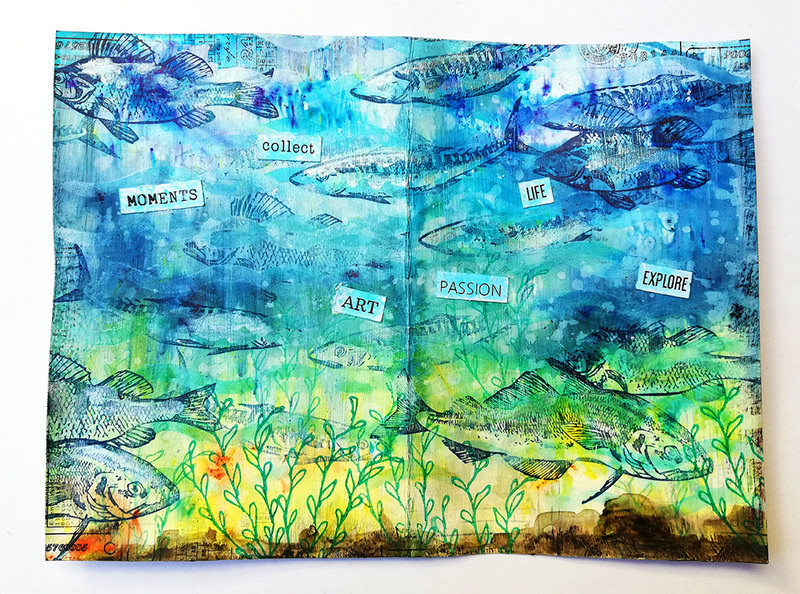 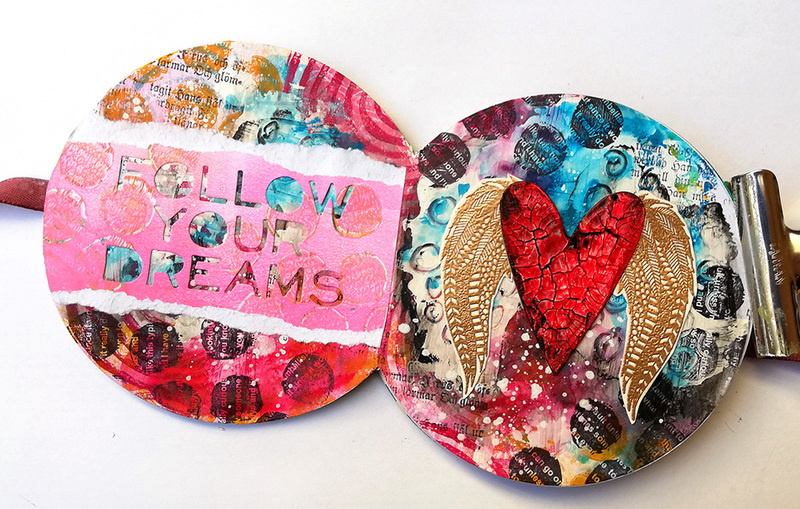 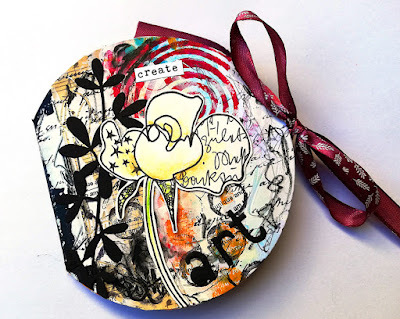 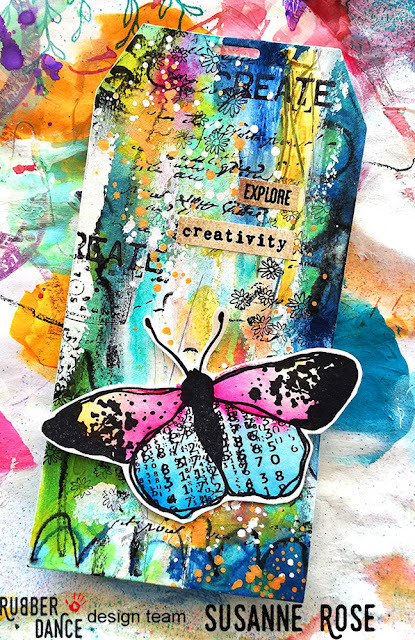 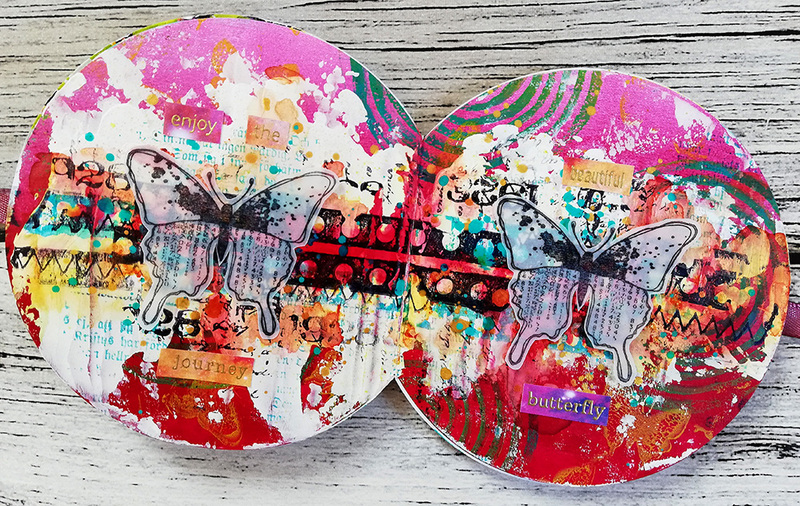 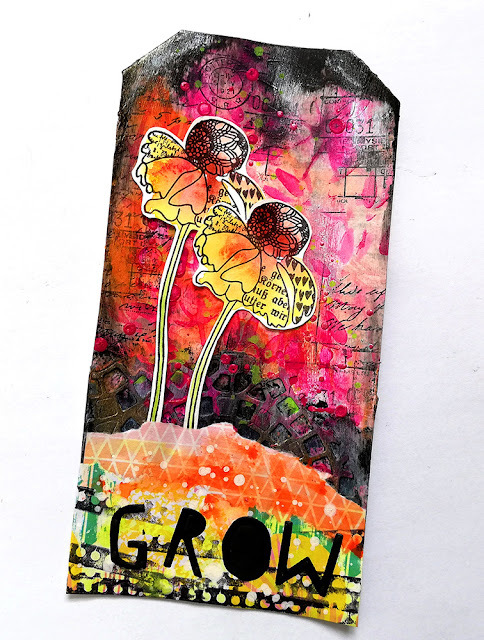 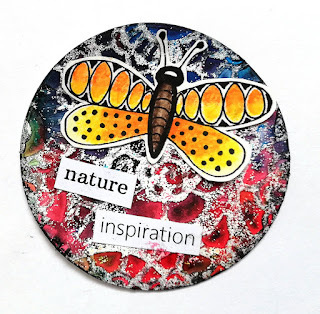 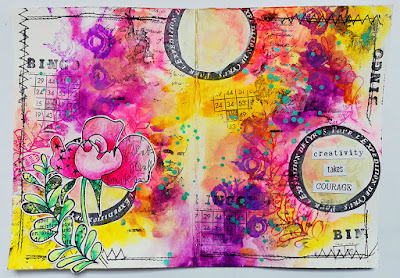 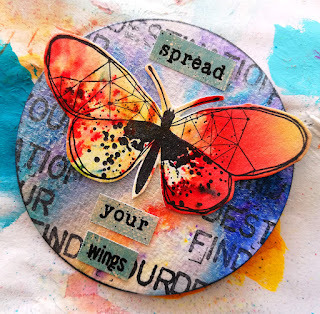 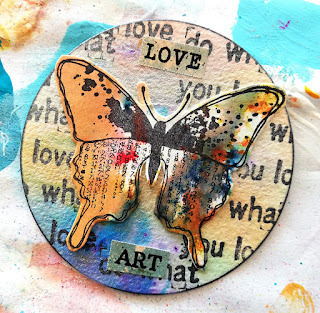 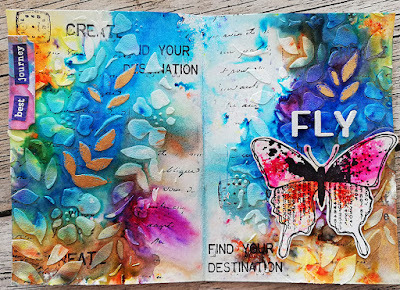 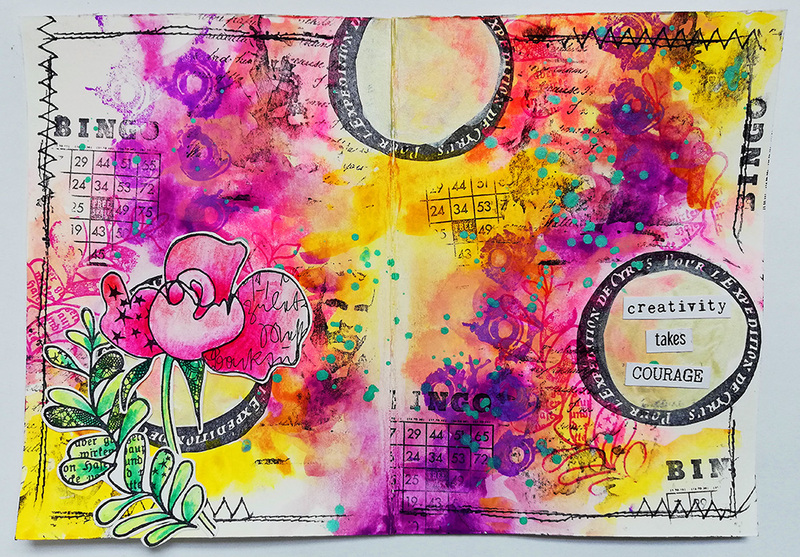 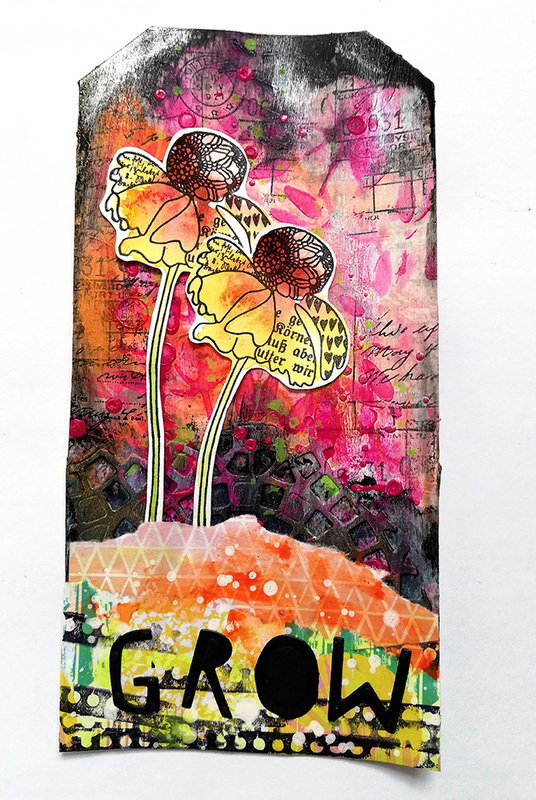 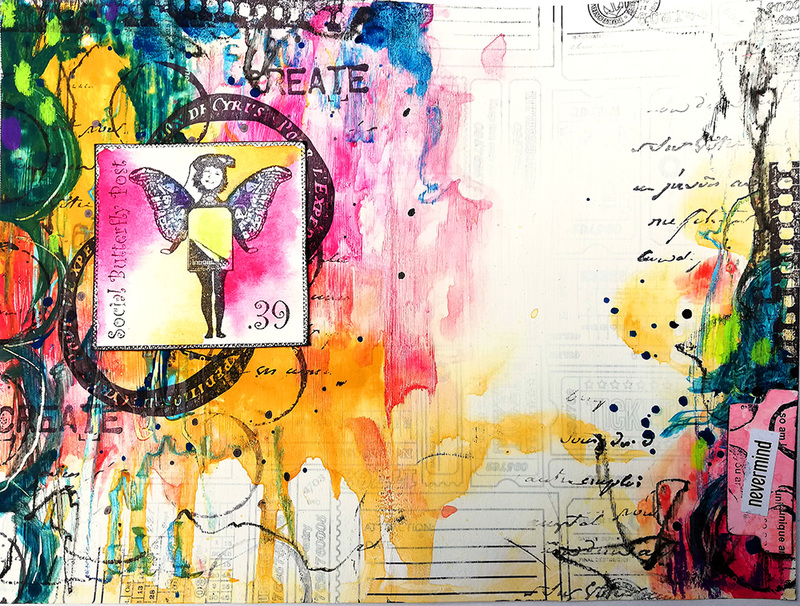 I am back with a mixed media tag today. I used our Doodle Flowers as a main image. Scroll down for the video and enjoy! Heute möchte Ich ein mixed media Tag mit unseren neuen Blumenstempeln zeigen. 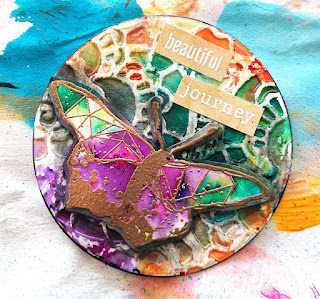 Ein Video habe ich auch für Euch. 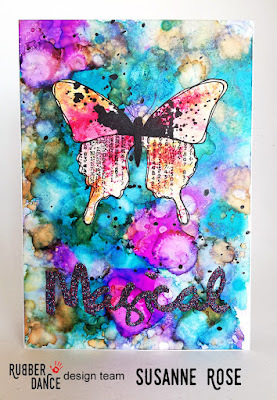 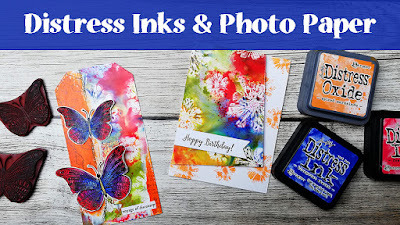 I created a beautiful background with Distress Inks and Oxides on photopaper. 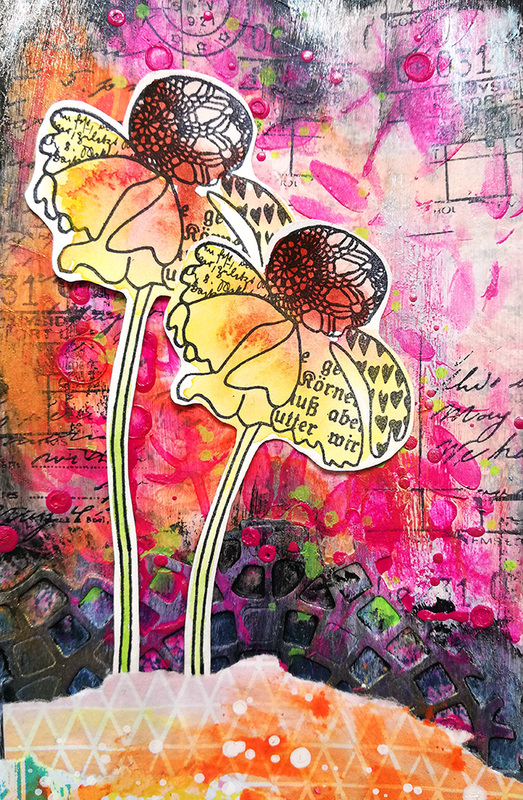 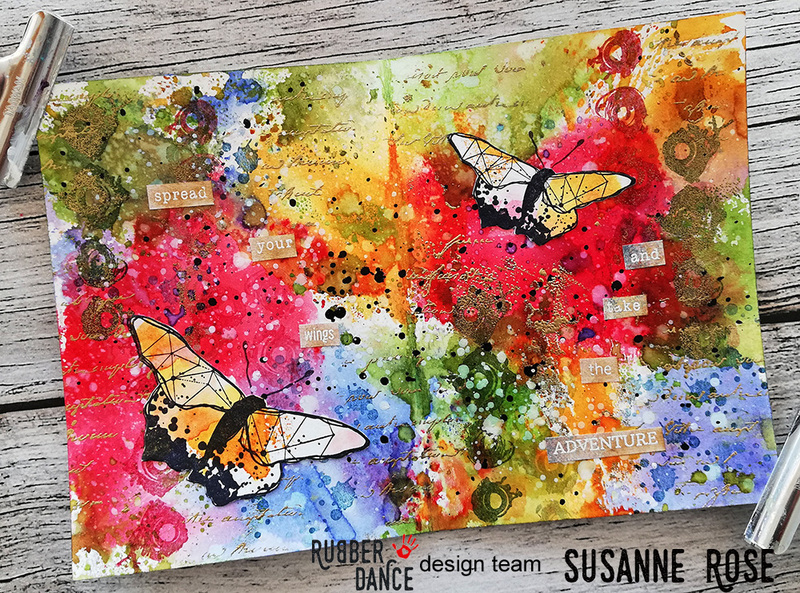 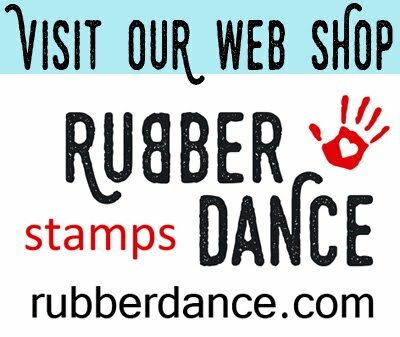 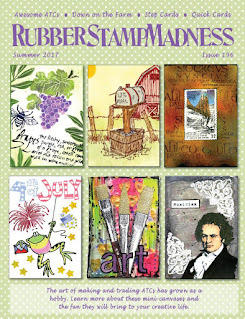 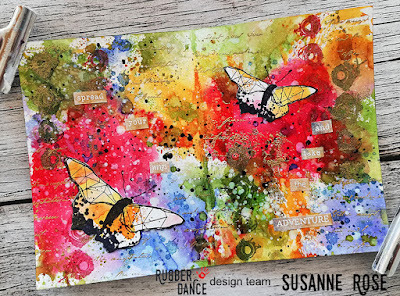 I used the Rubber Dance Bold & Beautiful flowers together with Versamark to create a resist on the photopaper. 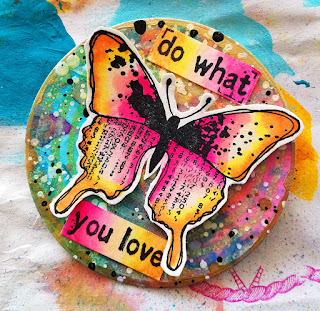 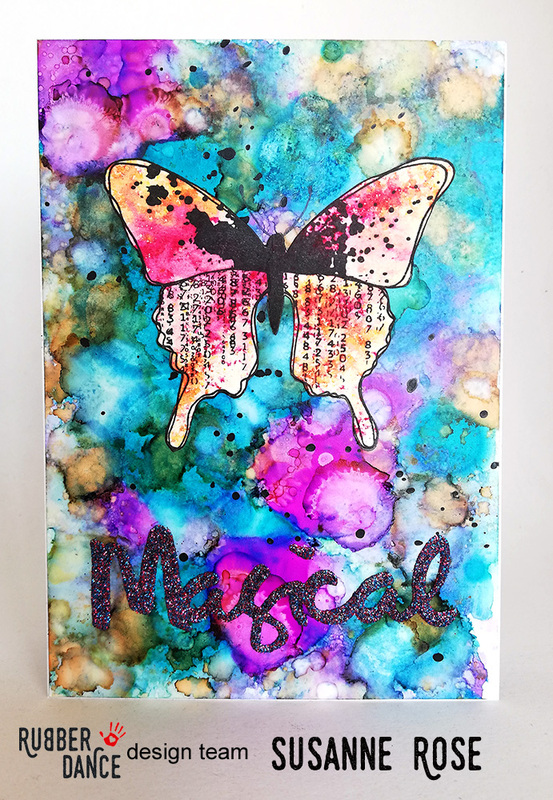 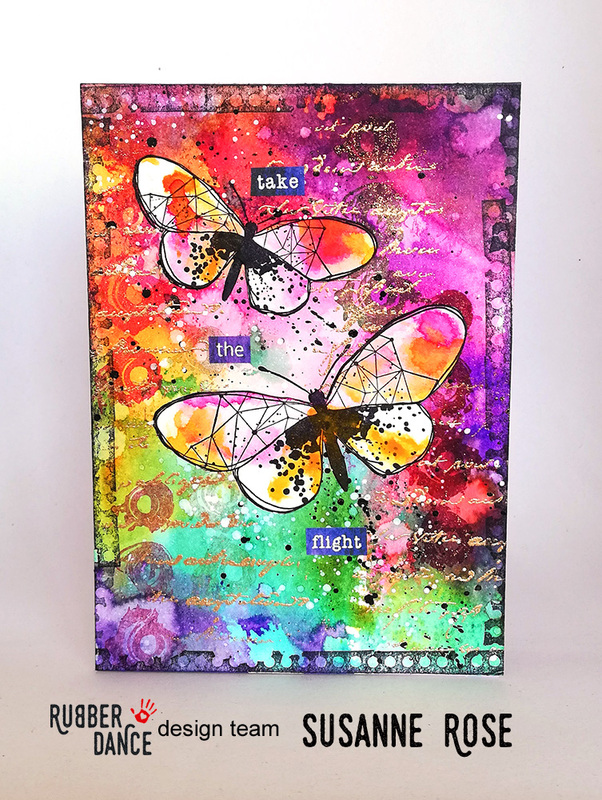 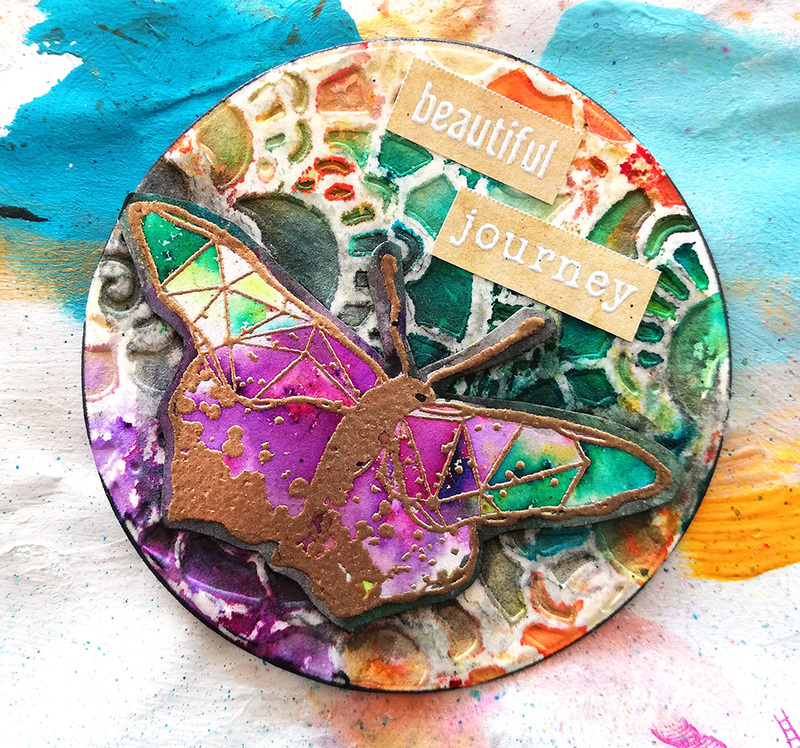 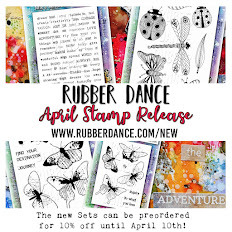 I embellished the tag with butterflies from the Butterfly Trio stamp set. 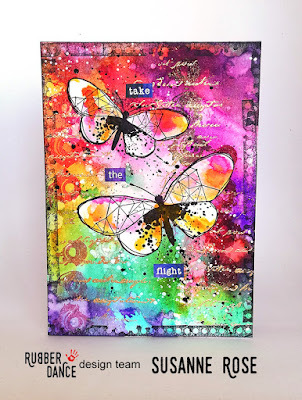 I embossed them in black and coloured them in with Distress Inks. 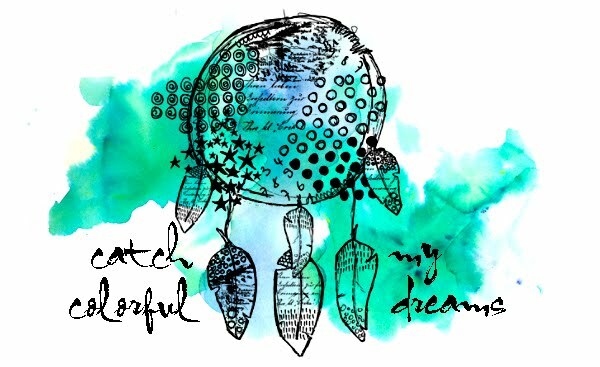 Scroll down for the video. 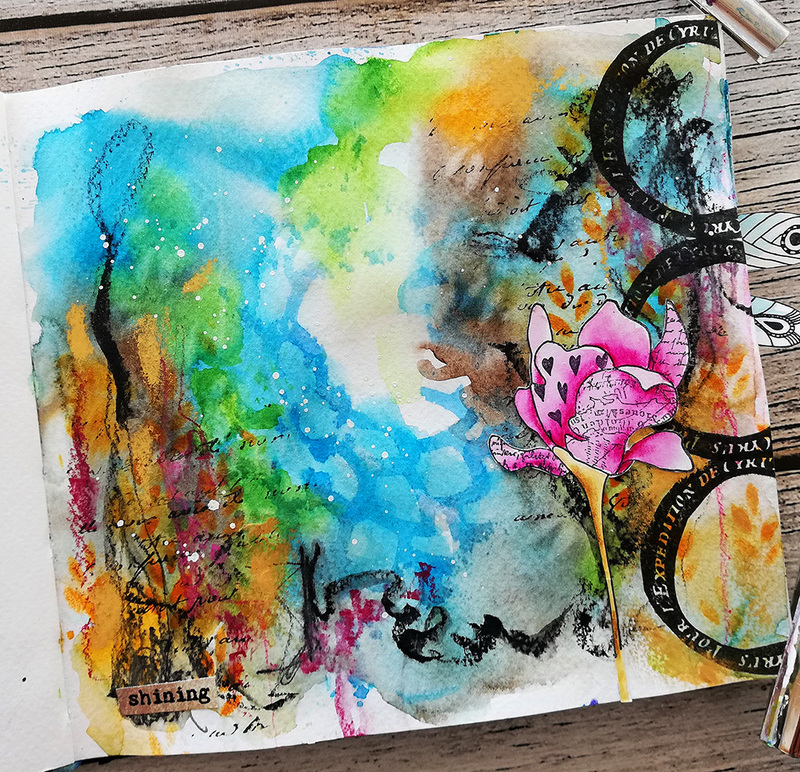 Heute habe ich eine Karte und ein Tag mit einem Distress Inks auf Fotopapier Hintergrund. 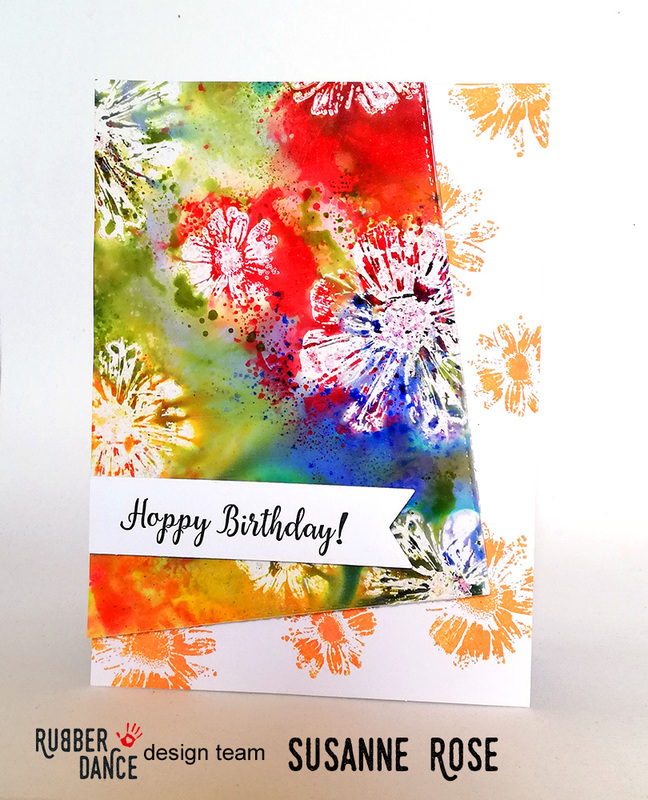 Die Blumen hab ich mit VersaMark auf das glänzende Fotopapier gestempelt und anschließend mit den Stempelfarben koloriert. 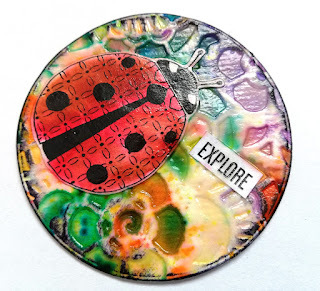 Scrollt nach unten für ein Video.